Are you having trouble finding an efficient way store your posters? Well StoreMoreStore has many fantastic poster storage options for you. Whether you’re storing movie posters, sports memorabilia posters, educational information posters, music posters, historical posters, medical posters, or any other kind of posters, our poster storage solutions will meet your specific needs. A great way to save space while storing lots of posters is to keep them rolled up. 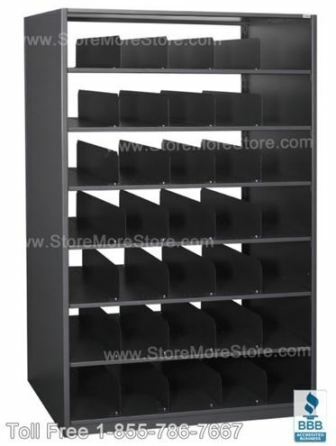 Our cubby shelves are ideal for maximizing the amount of posters you can store in one single unit. The cubby shelves will also make sure your valuable posters don’t get crushed or damaged. We have a variety of dimensional and opening selections for all sizes of rolled posters. 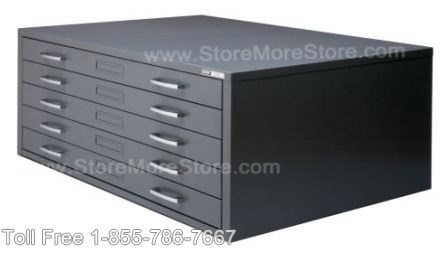 If you are worried about rolling up your posters to store them, we also have flat file cabinets available. These self contained cabinets will keep your posters flat and orderly, so you can rest assured they won’t be torn or maimed. And the cabinets will protect them from light, dust and animals. Maybe you already have storage shelving, but you’re looking for something to hold your posters. Well we have hanging folders that will work perfectly for poster storage. These hanging folders hold posters flat for long term protection. 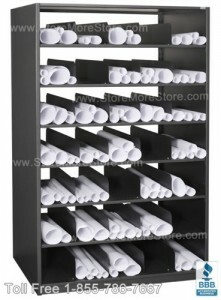 Visit StoreMoreStore to shop for your new poster storage solution today. And if you can’t find what you are looking for, call us toll free at 1-855-786-7667 to see what other options are available. Are you having trouble finding an efficient way store your posters? 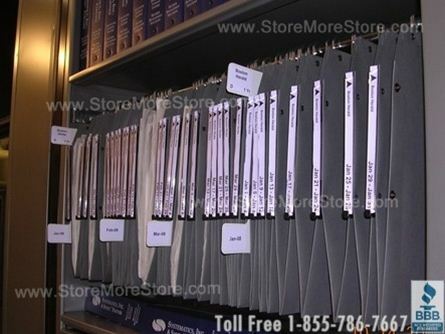 StoreMoreStore has numerous efficient and space saving poster storage solutions for you. Whether you’re storing movie posters, sports memorabilia posters, educational information posters, music posters, historical posters, medical posters, our poster storage systems will meet your specific needs. 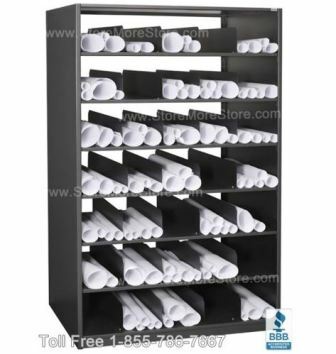 You can find all of these poster storage solutions online at StoreMoreStore. 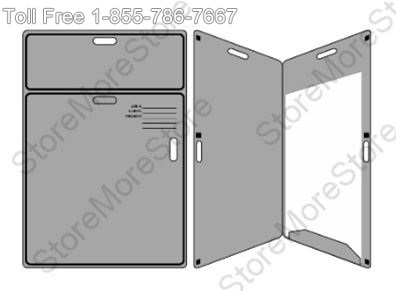 If you can’t find any of the poster storage solutions you are looking for, call us toll free at 1-855-786-7667 to see what other options are available.